Lehner's story became public on Sept. 13. 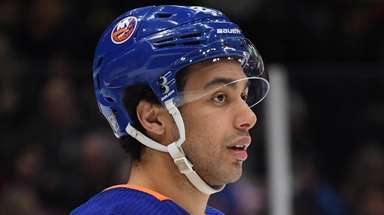 Three days later, he led his new team onto the Coliseum ice at for its first preseason game and instantly received a warm ovation from the Islanders faithful at NYCB Live's Nassau Coliseum. Matt Daley and his wife, Calynne, waited patiently on line at NYCB Live’s Nassau Coliseum on Friday night as he purchased a Stanley Cup Playoffs cap. But the Riverhead couple’s real investment in Islanders merchandise came much earlier in the season. Both wore blue alternate Robin Lehner No. 40 jerseys. Asked why both were wearing the goalie’s jersey, Matt Daley, 35, offered a quick explanation. “Ten years sober,” he said, describing how he spent his 25th birthday at a rehab clinic. “I haven’t seen him this passionate about a player in a long time,” said Calynne Daley, 28. Lehner’s story of working to control substance addictions and mental-health issues became public on Sept. 13. Three days later, he led his new team onto the Coliseum ice for its first preseason game. The crowd’s positive reception was instantaneous and portended how the Swede quickly would become a fan favorite on Long Island. “You love his story, and I think the fans did an unbelievable job from Day 1 when he released his piece and told his story,” said left wing Matt Martin, who resumed his spot as a fan favorite this season after being reacquired from the Maple Leafs. 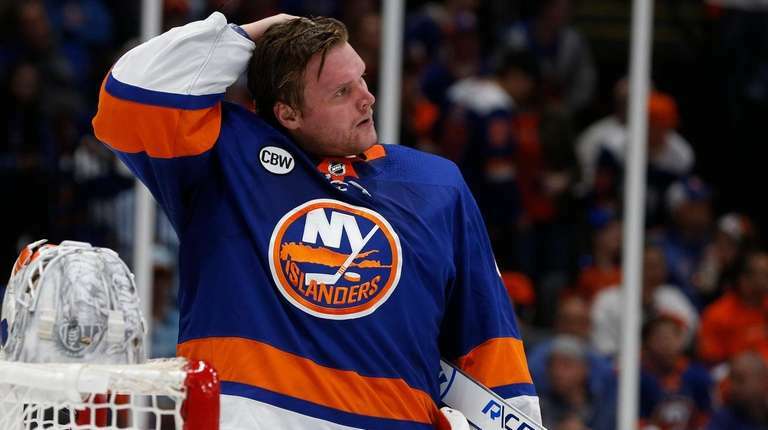 Lehner is expected to start Game 3 of the Islanders’ first-round series against the Penguins in Pittsburgh on Sunday afternoon after getting wins in the first two games at the Coliseum, including making 32 saves in Friday night’s 3-1 victory. 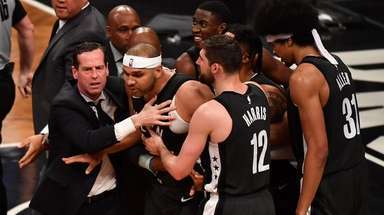 Every big save — and there were several — was followed by a thunderous “Leh-ner, Leh-ner” chant. 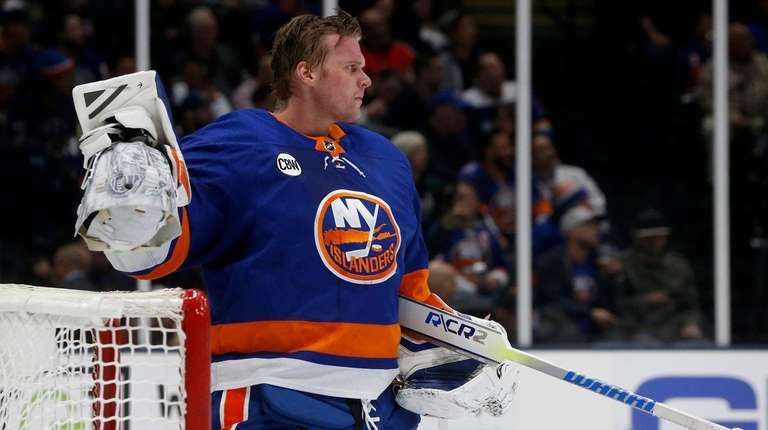 Lehner signed a make-good, one-year, $1.5 million deal with the Islanders after three seasons with the Buffalo Sabres, who did not extend him a qualifying offer as a restricted free agent, and three previous seasons with the Ottawa Senators. 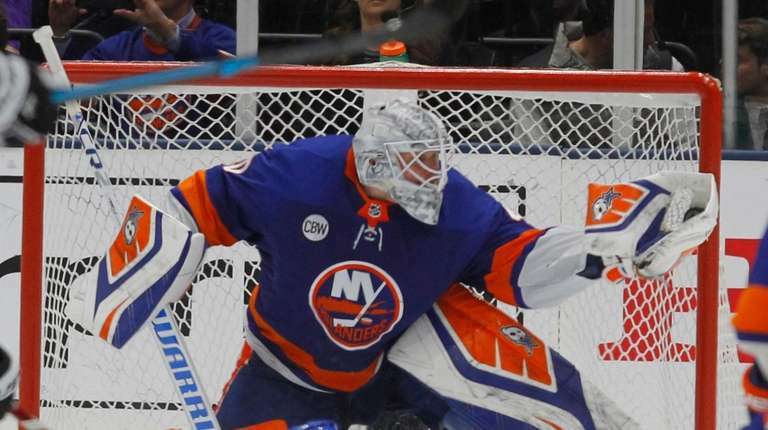 He paid the Islanders back by going 25-13-5 with a 2.13 goals-against average and a .930 save percentage, setting career bests in victories, GAA and shutouts (six). 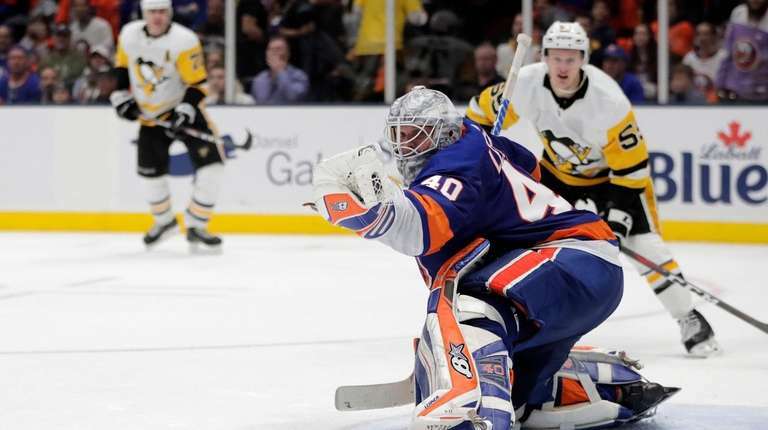 He and Thomas Greiss shared the Jennings Trophy as the Islanders allowed an NHL-low 196 goals after giving up 293 the previous season, the most in the league since 2007. Lehner is a near-lock to win the Masterton Trophy for perseverance, sportsmanship and dedication. 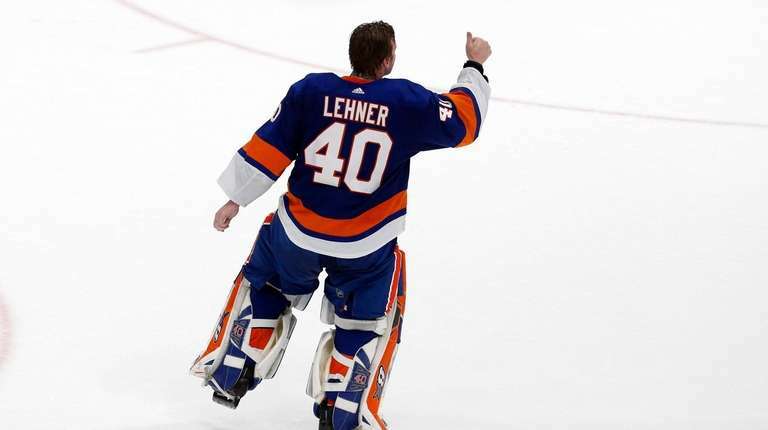 In many ways, Lehner still feels like a new resident on Long Island. 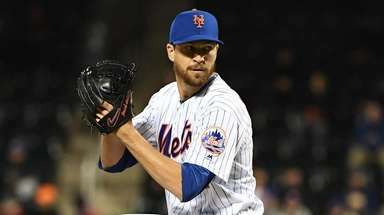 He has said at different points this season that he would like to re-sign with the team and grow roots. 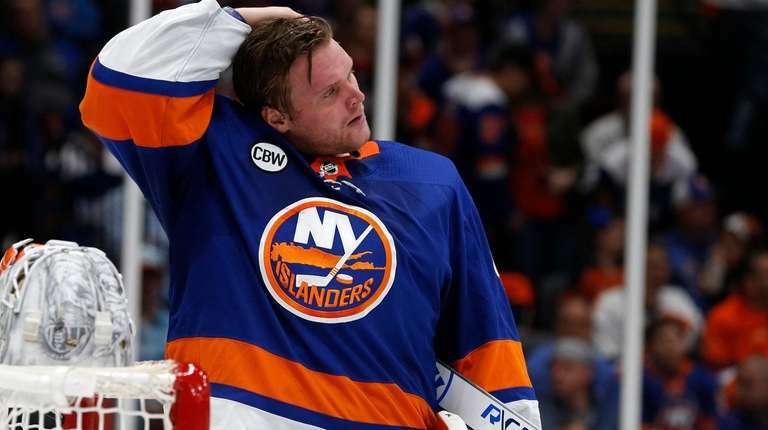 President and general manager Lou Lamoriello has said there’s interest in retaining Lehner, but the Islanders know as well as any team that until a deal is signed, there’s no deal. 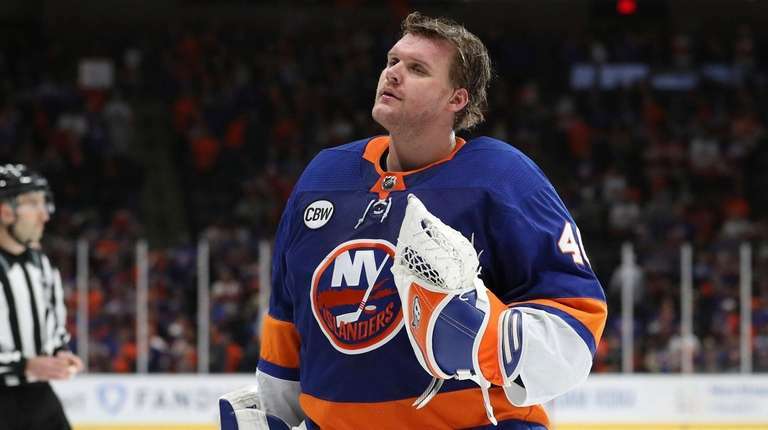 “I hope to God he stays here,” said Matt Daley, who started following Lehner’s career when he played for the Senators against the Islanders at the Coliseum. Lehner, 27, certainly appreciates the support he’s gotten from the Long Island fan base. Resch said he derived motivation from being noticed in the community during his playing days. “I didn’t know about New York people. I heard they were aggressive and not friendly,” said Resch, originally from Moose Jaw, Saskatchewan. “I found they were very friendly. They can yell at you from across the parking lot. At first, it startles you. Then you start to appreciate it. 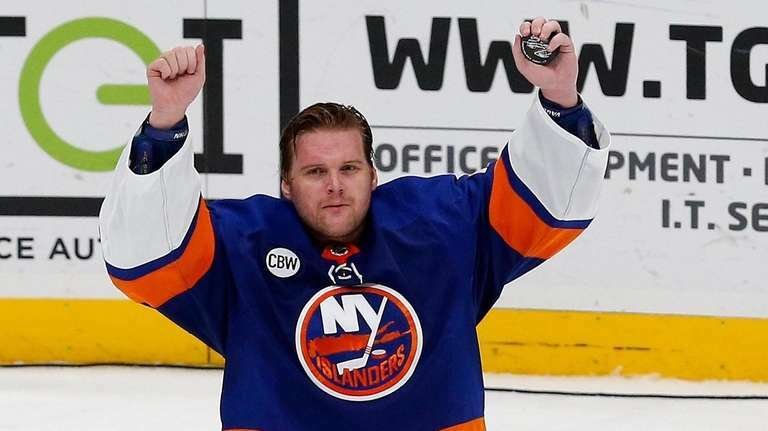 Lehner is far from the only Islander to receive crowd adoration this season. Probably no coach has heard his name chanted more in a season than Barry Trotz has at the Coliseum. But the bond between goalie and fans always seems to be the strongest. It was that way in New Jersey with Martin Brodeur and Devils fans. The love Rangers fans have shown for Eddie Giacomin, Mike Richter and Henrik Lundqvist — even Eddie Mio was serenaded in his time — seemingly has transcended that team’s other stars. Martin said he got to know Lehner better last offseason as both worked out at the Islanders’ practice facility in East Meadow. Lehner began opening up about his past problems to Martin, and the goalie began getting more and more comfortable in his new surroundings. 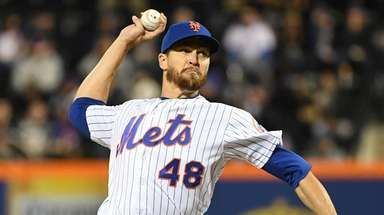 “He’s really come into his own,” Martin said. “He’s been more and more vocal during the season in the dressing room. 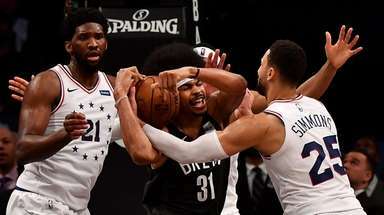 He’s really molded in here well and just been a huge piece of this team. It has been from the start.